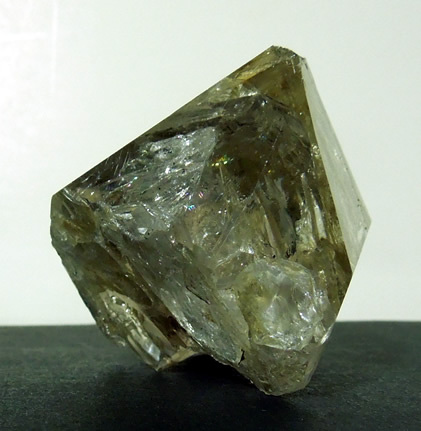 Depth: 58 mm / about 2"
Wow, this large Herkimer Diamond is a smoky crystal point. It fits well in your hand and the many considerable smooth facets feel great. 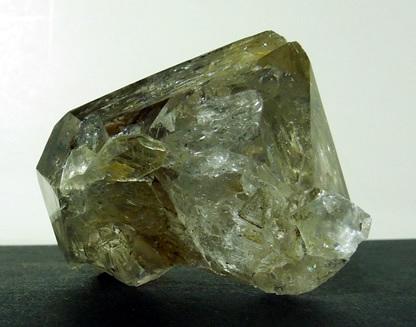 Other unusual features mark this crystal specimen as well. Many healed fractures and skeletal growth occurrences flash spectacular rainbow from almost every facet. Really fantastic. If that weren't enough, iron oxide sediment is trapped near the point, adding golden healer properties. 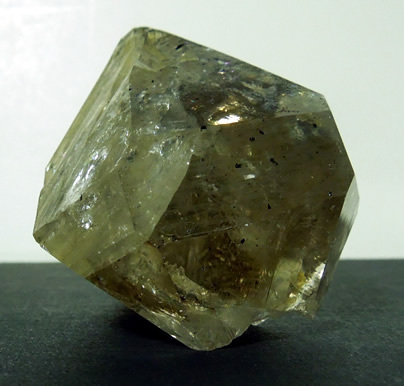 I believe this is a complete Herkimer Diamond with interesting growth markings where some facets didn't completely form. A small bridge crystal is attached near this area. Considering the size and many growth occurrences, the clarity from many angles is good. 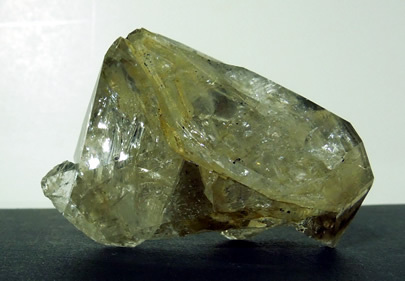 This large smoky crystal point may be D grade, but it's an extraordinary Herkimer Diamond specimen. 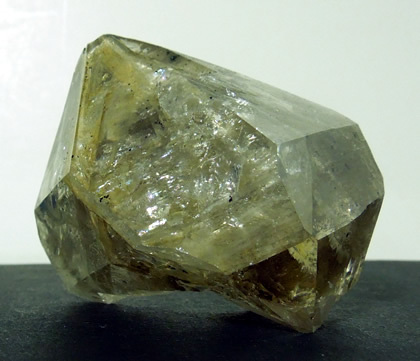 A fantastic Herkimer Diamond crystal specimen.